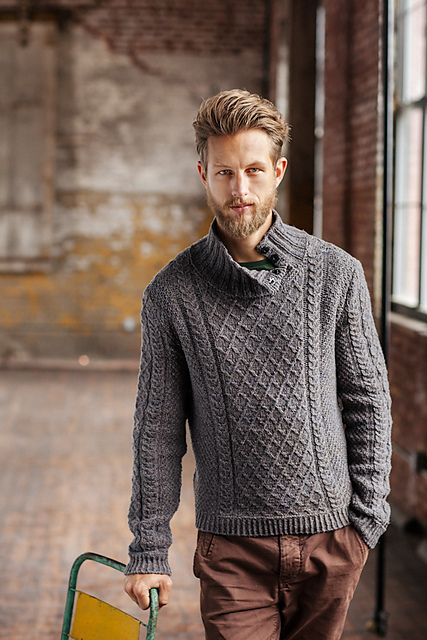 Brooklyn Tweed (a company which has inspired me before) has just put out a series of patterns specifically for men. 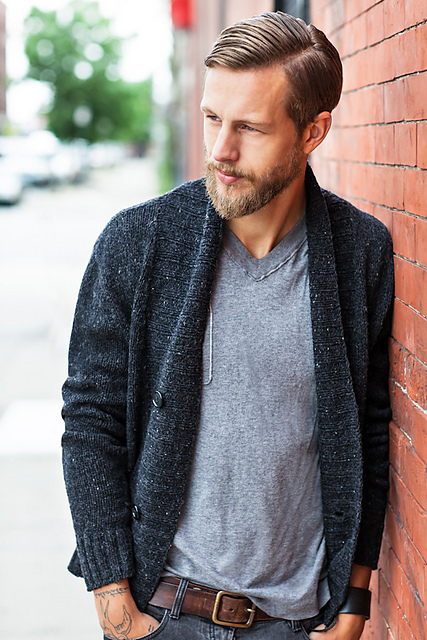 Rugged texture, twining cables, beards of hotness and glasses and ribbing galore. Need I say more? 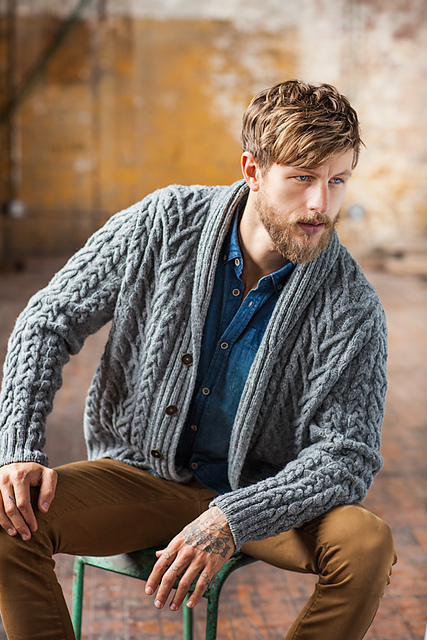 How about Jared Flood’s Timberline cardigan? Yes, please. Yes. 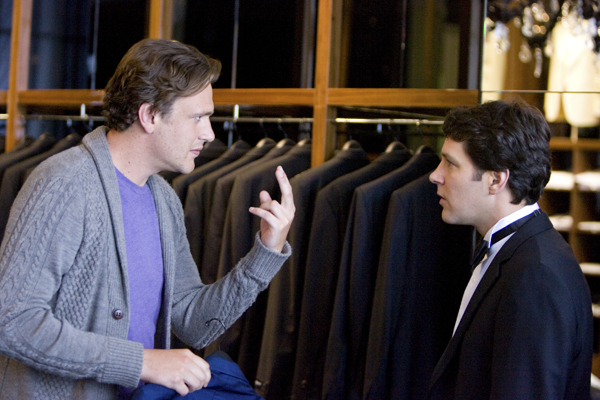 I’m a crazy sucker for a guy in a cardigan, which is kind of weird because the Fiasco doesn’t even own one (he’s a plain pullover man). The cables on this thing are just fabulous. This entry was posted in designers, InspirationSaturday by shoelaceswitcher. Bookmark the permalink.